COVER REVEAL: Dead Stock by Rachel Ward! 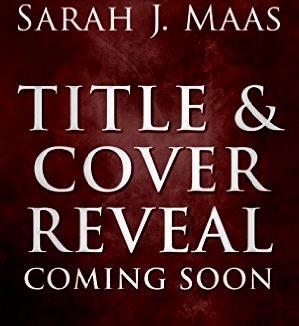 Today I have a very exciting post – a good ‘ol cover reveal! Last year I was asked if I wanted to be a part of the blog tour the first book in a new cosy mystery series called The Cost of Living by Rachel Ward. I absolutely adored the book, and couldn’t wait for more books in the Ant & Bea series to be released so I could follow their stories! It’s now just over a year later and I got a VERY exciting email…the cover for book two is HERE! 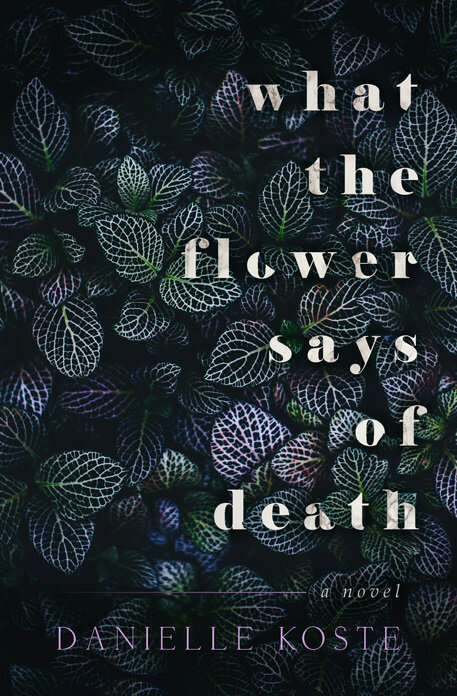 COVER REVEAL: What The Flower Says of Death by Danielle Koste! I’m FINALLY back to posting as much as I can, and I’m back with a new post and it’s an exciting one! A cover reveal of a book I cannot WAIT to read! Danielle wrote PULSE, one of the best books I’ve read that completely hooked me last year, and she’s back with her new one! I’m so excited to share the cover with you, let me tell you it is beautiful! COVER REVEAL: Rafferty Lincoln Loves by Emily Williams! Today I have something VERY special to share with you, and something that I have been waiting to reveal!!!! As you know I absolutely adore Emily Williams, especially after reading her wonderful book Letters to Eloise. Not only is she one of the best authors of our time, but her writing is absolutely exceptional. Well today I have the cover reveal for her next book she has written for charity – Rafferty Lincoln Loves! New Voices 2018 – Manchester Event! I’m back with a new post today and one that I’ve been SO excited to write for so long! For a while I’ve wanted to go to more blogger events, but never thought I’d get the opportunity to. That is until I was invited to the New Voices Event 2018 in Manchester by Headline Publishing! It was one of the biggest honours I’ve ever had, and I still can’t believe I got to go! It was one of the best nights I’ve ever had, and was filled with laughter, friends and many many books and authors! I definitely thought I needed to share the night with you, and the wonderful books I received! Blogmas Day 23: Top 10 Anticipated Releases of 2018! I can’t believe it’s nearly the end of the year! There have been so many amazing books released this year, and I can’t wait to move into the new year! 2018 has so many amazing releases too, so I thought that for Day 23 of Blogmas I’d discuss 10 of my most anticipated ones! I need this book NOW! I am not even slightly ready for this series to be over, so I have no idea how I’m going to cope when this series ends! Blogmas Day 7: PULSE Blog Tour Post // Interview with Danielle Koste! I’m back with Blogmas Day 7 – how quickly is this month going?? Anyway today I’m here with another special post, and once again it’s my stop on the PULSE blog tour! If you missed my review of PULSE that kicked off the tour you can find it here! You won’t want to miss out on this heart racing book! What first inspired you to start writing books? When did you start writing? It’s kind of a funny story. It started with a really terrible English teacher, ironically enough. During elementary school we had one teacher who basically didn’t teach us much and instead told us to spend the class writing. I learned nothing that year but creatively I flourished, along with the rest of my class I’m sure. Sharing and writing stories for an hour every day was very productive. I wrote my first ‘full’ novel in that class: A horror story that was about 30 handwritten pages long and involved a haunted house with blood leaking walls and ended with the gorey deaths of my characters and my parents being slightly concerned for my mental well being. Since then writing was always a hobby I had on the side of everything else. It was only in my last year of Junior high where I really started considering it as a career though. I read a book for a book report: “Shattering Glass” by Gail Giles. It inspired me so much that I thought of my own story on the spot, the plot that would eventually, over 8 years later, become my current WIP, the first draft of a book titled “Extracurriculars”. I was so obsessed with Gail’s novel I even wrote to her. I sent her a long email about all my thoughts, I even sent her a scan of my book report, and the most defining part, she wrote back. She gave me so much advice, about writing, about how I should go about getting published, about never giving up. And that really motivated me. I think to this day, I know that other people had defining moments in leading me towards writing, but nothing pushed me to being an “author” as much as that response email. After that previous answer I don’t think it needs to be stated, but I completely devoured all of Gail Giles books after reading “Shattering Glass”. Her writing is more middle grade and not quite as sophisticated as what I prefer to read now, but her stories are gripping and have definitely instilled in me a desire for the dark and controvial. After her, my go to favorite novels when someone asks are always White Oleander by Janet Fitch and Fall On Your Knees by Ann-Marie Macdonald. I often say that if someone wants to understand me a little better, to read these two books. I strive to be half as good with words as these two amazing women are. The word ‘inspire’ is always a tough one for me. My inspiration is sort of like spices in a soup. Tiny little flecks of almost nothing flavoring the whole of something else. Overall, my inspirations come from everything. Films, music, games, books obviously, but also sights, sounds, experiences, feelings. To be a little less vague and pretentious about it though, the nugget of an idea that would eventually lead to PULSE came as a dream I had one night. A female scientist researching something on the other side of a glass wall. But it wasn’t an animal as one might expect. It was a little boy with bright blue eyes. There are a few scientific scenes within the story. Did you do any research for the novel? I did A LOT of research, and it probably still isn’t enough. Specifically, I learned about blood, and viruses, and how they work, and how HIV works, and how the science behind my fictional virus could theoretically be plausible (with some suspended disbelief). I also had to learn a lot of terminology, a lot of which never even made it into the novel. I’m waiting for the day that a real med student calls me out for all my wrong info. Please go easy on me, doctors, I tried my best! Without giving too many spoilers, my favorite scene was likely when Lyall gets to tell Rowan a little more about his past. There’s a lot about Lyall that the reader does not get to know about in PULSE, since it’s from Rowan’s point of view. His story is a long one, and I really enjoyed getting to touch on a very small piece of it. I absolutely loved how headstrong and independent Rowan was, did you always plan her out to be this way or did it develop as you wrote? Rowan was always supposed to be headstrong, but during my first draft she got lost somewhere along the way. Somewhere around 3/4 of my way through the novel, I realized that something was wrong. Not only was what I’d written already not going to lead well into the ending I now realized I wanted, but Rowan was not the girl she was suppose to be. There was something hollow about how I’d written her. When I started the first rewrite, a new girl appeared. It was like she’d been waiting on the sidelines all along, ready for me to take her off the bench. Ever since then it was a bit like she was leading the story, rather than me. I loved how you never named exactly what Lyall is (no spoilers! ), but all the characteristics are there – why did you do this? When I first started PULSE it was on the back end of the Twilight fiasco. It felt like anything labelled the dreaded V-word was immediately written off by most people, and being a tiny baby of only freshly 21 years old at the time, I was scared of people judging the book before reading it. Looking back, I was also determined to be unique and different. I tried to write a book that was basically angels and demons, but I made up this complicated and pretentious lore to explain why they weren’t angels and demons but instead something else. I was obviously scared of falling into a category at the time. With PULSE, I told myself I’d stay as far away from the V-word as possible. Lyall was unique after all, I didn’t need to call him anything. I’ve since shaken off that fear. I know that paranormal fans are a breed, so those that like it will usually flock to a release of their favorite type of monster like moths to a flame. But the ‘unnamed’ part still stuck. Why? Ultimately, I think it came down to Rowan. With how scientific and proof based she is usually, it would be hard for her to use that word, giving it’s fantastical connotation. Most people think of some pretty wild, magical creatures when you use the v-word, but Lyall is very much real (in fictional terms). It would seem ridiculous to her to call him something so “fictitious”. Not to mention the fact that I think Rowan, while she does question her own logic and emotions sometimes, she never truly sees Lyall as anything other than human. The villain in this book is particularly cruel and cunning, why do you think the villain ended up like this? “The Villain” is an interesting character who went through a lot of transformations, which old fans will recognize almost right away. I don’t consider them a villain as much as I do an antagonist. They are misguided, and in a way, meant to be a mirror image of Rowan: of what Rowan could have become, if she’d made different choices. There’s a lot more to “The Villian’s” personal story as well, but their motivations are fueled by self disappointment and dissatisfaction. Despite facades, they are not happy where they are in their life, they have achieved so much and yet still feel empty, and they fill those empty spaces with greed and power that eventually overcomes them. Which character was the most fun to write for? Cameron has and always will be a personal favorite, in regards to PULSE at least. He’s not only the comic relief at times, but Rowan’s support system. He’s integral to Rowan’s personality, to her confidence, and also to her humanity. He keeps her from floating off into space due to her sometimes big headedness. What can we expect from the future? Currently all my focus has been on the release of PULSE, but I have another paranormal romance that I am hoping to release in 2018, as long as everything with PULSE runs smoothly. I also have a first draft WIP, Extracurriculars, that is nearly complete, and can actually be read over at my Wattpad or Tapas! There we go! Thank you to the lovely Danielle for this interview – your answers were AMAZING! I would also like to thank her for letting me join this blog tour, and letting me read your book – it’s too amazing for words! Follow her on Twitter by clicking here! Don’t forget to check out the rest of the blog tour on the dates below! Mia is back in this explosive sequel to the Nevernight Chronicles. With more blood, more action and a heart stopping final chapter, you’ll be left praying to the Black Mother for more. 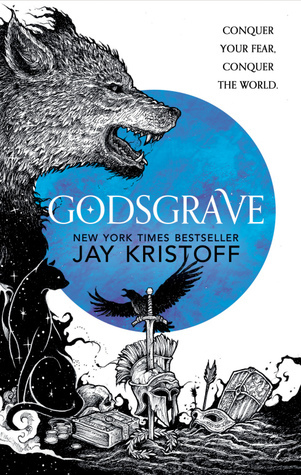 I was lucky enough to receive an ARC of Godsgrave, and after completely falling in love with Nevernight last year, I was ecstatic. After finishing Godsgrave, I can hands down say this is the best book I have read so far this year. My love for this series just constantly grows, and this book changes nothing about that. From the first page I was hooked, and the fact Jay gives us a run down of everything that happened so far is one of the most useful things, I loved it. This series is always good at world building, but this book takes it to the next level. With beautiful descriptions of each city Mia ventures to, and awe-inspiring explanations of every arena, this book completely immerses you into the world of Mia Corvere. Mia herself goes through so much, and if you didn’t love Mia and her resolve to do the best in honour of her family now, you will after this book. Her strong sense of love for her familia, and her interactions with characters both new and old are absolutely perfect. She has always been one of my favourite female characters, and this book has definitely moved her up to the top spot on that list. The addition of Eclipse and Mister Kindly’s interaction both with each other, and with Mia is absolutely brilliant. The hilarity and light-heartedness that they both bring is such a breath of fresh air in the darkness of the story, it was a contrast that Jay created with utter perfection. There are so many heart-breaking and powerful scenes within this book, I couldn’t keep up with just how much I loved it all. From the last couple of chapters I literally couldn’t put it down, I was so hooked and I just had to know how the book ended. Once I did get to the end, I instantly hit a book hangover because I just didn’t want it to finish! The ending was outstanding, the perfect way to lead on to the third book in the series, and keep you wanting more. This book is one of the best sequels I have ever read, and does the Nevernight Chronicles complete justice. The writing style is once again absolutely amazing, and the inclusion of the notes at the bottom of the page are such a wonderfully personal addition, as they were in Nevernight, it really feels as though you’re part of the story and Jay is talking to you. The little notes are also dripping with sarcasm, which is probably one of my favourite things about any book, I love it. From the characters development, to the way Jay describes everything within the story to such degrees of excellence, this book is definitely set to be one of the best books released this year. My love for this series is still evergrowing and I already want to re-read it. Mia Corvere, you are my hero. Nevernight, the first book in the series is out now at all major outlets! Godsgrave is available for preorder now, and will be released on 7th September 2017! This series just keeps getting better and better as shown by the explosive and action packed third book in the Starr Fall series. First off I would just like to once again mention that I absolutely love this series, and I would even go as far as to say this was definitely my favourite book of the series so far. The book continues almost exactly where Starr Lost finished off, and that’s just what I wanted! Starr Lost ended on such a cliffhanger and the outcome of the cliffhanger was handled perfectly. The character development was AMAZING in this book. How Starr develops compared to the first book is something I’ve been waiting for the entire series, and I couldn’t be happier with the badass Starr we have throughout this book. I loved how we got to see Starr separated from the main ‘team’ and got to see how she copes with things on her own, and just how quick thinking and quick witted she is as a person. I love her and Christian’s relationship in Starr Lost, but seeing how she takes things in her stride without him, is absolutely brilliant. Kim you’ve outdone yourself with Starr here, one of my favourite female characters in the world. Not only is Starr’s character development but Di has such a change in herself and learns so well how to not only be a part of team, but to lead it in Starr’s absence and I love her. I love how strong she is, but that she also shows weakness in this book, such as her explaining why she never felt she belonged. The underlying message within this book that family doesn’t have to mean blood, and sometimes your closest family are those that you least expected is one of my favourite things about the entire series. The closeness of the team as a whole is better than ever in this book, and I love it. The plot in this book was such a shock from the last two, the twists and turns that carry out throughout it are made me constantly on edge to know what happens next, and I was on the edge of my seat the whole time. I love the introduction of the new enemy the team have to face (no spoilers! ), it adds such a fresh narrative to the story and keeps you on your toes, even three books in. The ending was once again incredible. I was not even slightly expecting the book to end there, so when I pressed to turn to the next page and it came up with Acknowledgements I was frantically scrolling praying that there would be more! As shocking as it was, it was such a perfect ending, not the biggest cliffhanger but still making it so I need the next book now! This series just keeps getting better and better, and with perfect character development, twisting narrative to keep you on your toes, and wonderful writing to keep you wanting more, it looks like the reign of Kim Briggs is definitely set for this year. I can’t wait to see what the next book has in store for Starr and the team! Thank you again to Kim for sending me Starr Gone! You’re an angel! It’s out on Amazon on the 2nd June 2017 so make sure to check it out and pre-order now! The stunning and action packed sequel in the Warlock Holmes series is the perfect follow up to the cliffhanger of the previous book, and leaves you laughing, crying and wanting the next book instantly! I was desperate as soon as I finished the first book in the series to pick up the next book, so when I found this beauty had been sent to me by the wonderful author I put down the book I was reading and instantly began this! Thank you G.S. Denning for sending it to me! From the first page I was hooked once again, just like I was in the first book. I absolutely loved how it followed on with ease from A Study in Brimstone. I feel a lot of the time seuqels are make or break for a series, but this entire book made me fall even more in love with the world of Warlock and John! The first chapter or so made me giggle so much, John is one of my favourite characters ever created and his friendship with Warlock throughout this book was brilliant. I loved how their friendship that was already established in the first book just evolved and the love they have for each other is so nice to see, very reminiscent of the love and friendship John and Sherlock have in the original stories, which was a brilliant comparison. It particularly stood out to me just how much inner development these characters have been given to not only now trust their own judgement but each others, and I loved to see that development happen so brilliantly and so subtly. It was a uniquely brilliant touch to the story. Once again the book is split up into different cases and told through John’s notes which I LOVE! It feels so authentic, like John is telling a story rather than you having to live with them through it, and feels a lot more personal with the audience. It’s also genius how each story fits with the next in some way, rather than being completely separate and leaving you wondering why it was included, thank you G.S. Denning for being so brilliant. The cases included in this book were once again so accurate to the original stories that I am amazed at just how well Denning creates this new adaptation. It feels so new, yet with the familiarity of the stories we all know and love so well, it really is something to be in awe of. Throughout the book I love the hints we get to Moriarty and how subtly they are included, so he isn’t the main story but is definitely still a reminder that he’s there! The inclusion of a certain characters backstory is also absolutely amazing. I wasn’t expecting that to be included at all so the fact we get an insight into the actions of a certain character that we haven’t as of yet so far, it was the best surprise and addition! The ending was something else. It was so personal, with John talking to the audience specifically and was so cryptic that I literally cannot wait for the next book to be out! I need to know what happens and what John meant! The ending is so clever, hinting at what is yet to come but still not giving much away so it leaves you begging for the next book – my favourite kind of cliffhanger! This book was a perfect example of just how not only a sequel should be written, but a perfect example of how to write a beautiful adaptation of a classic series, and make it your own! I loved everything about it, from the character development, the new cases, and Floofy! It was a story that kept me hooked with laughter and action throughout and I can’t wait until the next book is out and I can once again immerse myself into the world of John Watson and Warlock Holmes! This book is out in the UK on May 16th 2017 so make sure you get your pre-orders sorted now to receive it on the day! You won’t regret it! If you’re new to the series then the first book in the series, Warlock Holmes: A Study in Brimstone, is out now at all major outlets! IT’S HERE, IT’S FINALLY HERE! I’m taking part in this blog tour to help to reveal the GORGEOUS new cover for Starr Gone, the third book in the Starr Fall series by Kim Briggs! Without further ado, here is the new cover!! UK! Pre-order Now for £2.38 Only! Don’t miss the other books in the Starr Fall series. Contest runs from May 5 – 9, 2017.